Bill is an innovator and devoted clinician with a unique ability to control any situation and bring calm to both patients and coworkers. 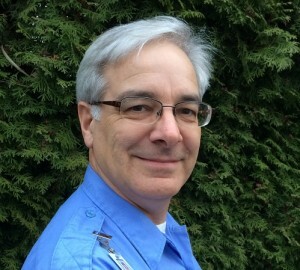 With 21 years of EMS experience, Bill has performed numerous field saves and most recently lead the development of AMR’s Critical Incident Stress Management (CISM) program for the Portland operations. Thanks to the countless hours Bill spent researching, training and meeting with mental health professionals, CISM has greatly benefited hundreds of AMR employees experiencing stress related to a difficult patient incident. In 2015, the CISM program was recognized by JEMS magazine with the Innovators in EMS Award. Bill’s hard work and dedication to both his patients and fellow EMS professionals are why he is being honored as a Star of Life.